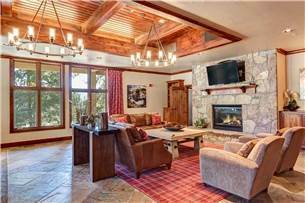 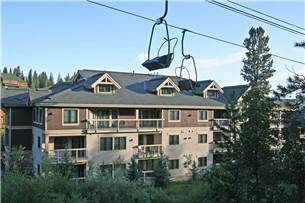 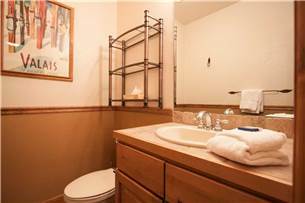 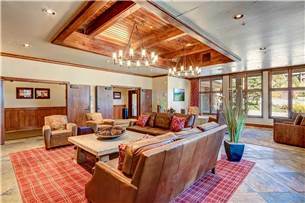 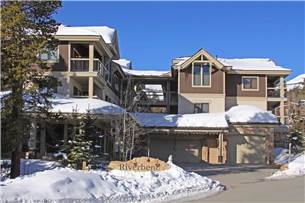 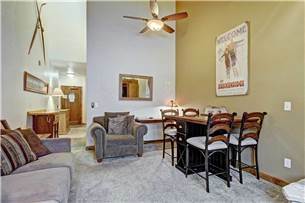 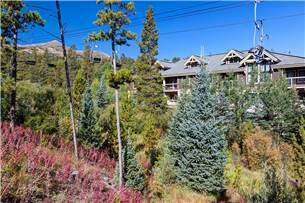 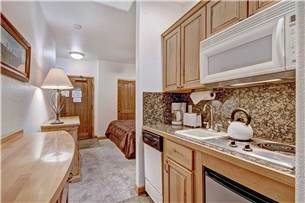 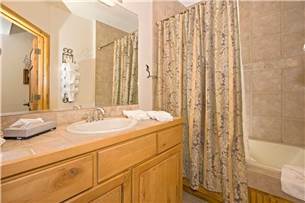 Ski-in/Ski-out studio - 3 blocks from Main, hot tubs, & sauna! 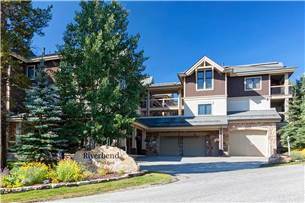 Come and experience one of our nicest Riverbend Lodge studio properties. 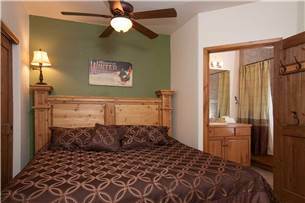 This deluxe property, steps from the Snowflake lift & three blocks to historic Main Street, is our only studio in the building with both vaulted ceilings & a king-sized bed. 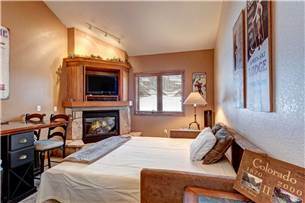 This third floor property, accessed by central elevator offers contemporary mountain furnishings for a cozy feel. 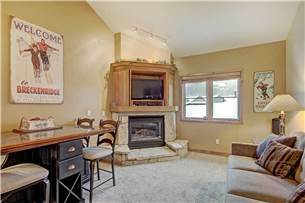 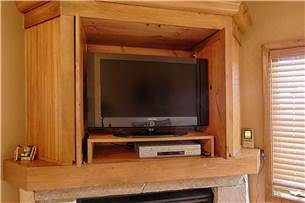 The stone hearth and custom sofa makes for a very inviting property, as well as an updated flat screen TV and blu-ray player with Netflix capabilities. 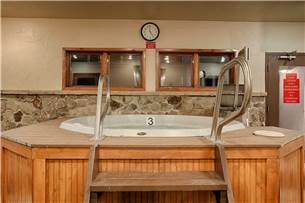 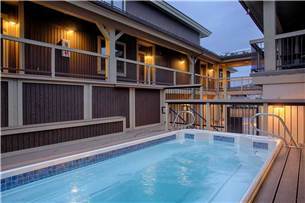 After a day on the slopes or trails relax in the indoor/outdoor hot tubs, steam room and sauna on site. 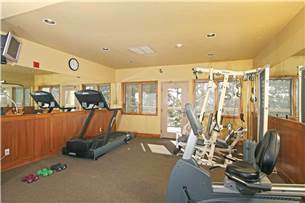 Complimentary Wi-Fi, a fitness room, shared gas grills and laundry access are also included with your stay at Riverbend Lodge.